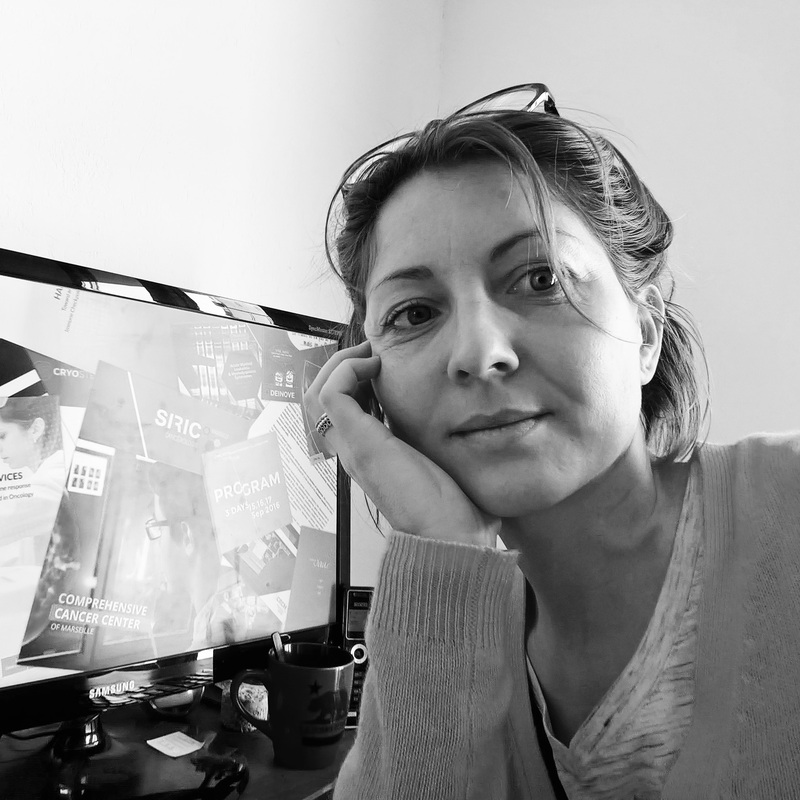 Hello, my name is Angelique GERRARD, I’m a full-time freelance graphic & web designer based in France. With over seventeen years of rewarding experience in graphic design and web design in a wide range of areas and have had the pleasure of working with some amazing agencies around the world. I have worked with different types of clients from Restaurants and Vineyards, to Scientific Research Centres, Maritime companies, Online Ticketing and Online Exhibitions. I am always seeking new and exciting challenges and I am interested in innovative ideas that will inform, inspire and influence. I self-manage my time, I’m highly organized and flexible and able to work independently as well as in a team. I often work in collaboration with web agencies and printing houses. I’m comfortable working directly with clients, or collaborating with or leading other designers. I love managing global projects, creating printed and digital visual solutions to help turn a vision into reality. My work involves a wide variety of mediums: print, digital, web, signage, packaging, UX and more. I have comprehensive knowledge of all of the Creative Suite design software – Photoshop, Indesign, Illustrator and I master HTML5 and CSS3, and continue to develop new skills. and do it in the best way ! I called on Angélique’s services at a time when VirtualExpo was launching a new, extremely important client offer. We lacked the resources necessary to create client landing pages and had only a rough draft. Angélique was there when we needed her and demonstrated great professionalism throughout the two years we worked together. She completed the project and enabled us to meet the high expectations of our clients. Subsequently, she made the difference in each new assignment thanks to her skill, the relevance of her contribution, her rapidity and aesthetic sensibilities. She demonstrated these qualities throughout, focusing on the primary goal of quality for the client. I can warmly recommend Angélique for her nimble work, as well as for her « customer-oriented, customer first » spirit! Dans le cadre de la préparation du SALON NAUTIQUE DE MARTIGUES, Angélique s’est occupée de notre site internet, des maquettes de nos dernieres insertions presse ou flyers ou affiche. J’ai personnellement été enchantée de la compréhension et du professionnalisme d’Angélique. My name is GERRARD, but people call me Angélique. My Website Provence Alpes Côte d'Azur and work as an at .